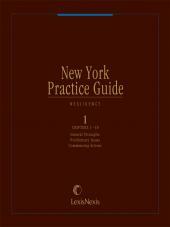 Provides complete, succinct analysis of New York's Civil Practice Law and Rules. 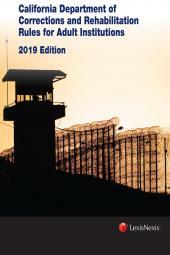 Covering the major subjects of New York civil procedure under the Civil Practice Law and Rules of New York, this 2-volume set is topically organized to be a valuable, quick reference guide that provides complete, succinct coverage. 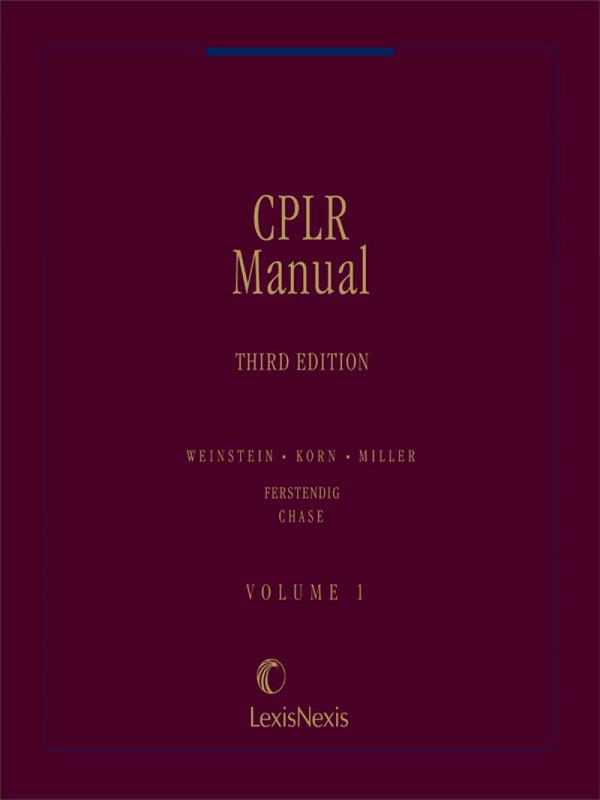 The Weinstein, Korn and Miller CPLR Manual serves as a time-saving complement to the Weinstein, Korn and Miller treatise, New York Civil Practice: CPLR, through cross-referencing to more detailed analysis, and is revised and updated with the most recent legal developments by General Editor David L. Ferstendig. 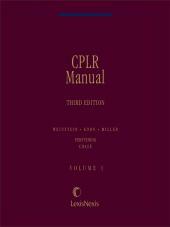 Whether you're involved in pretrial, trial or post-trial proceedings, the CPLR Manual provides step-by-step discussion of every pertinent New York Civil Practice topic. Oscar G. Chase is Russell D. Niles Professor of Law and Executive Co-Director of Dwight D. Opperman Institute of Judicial Administration at the New York University School of Law. 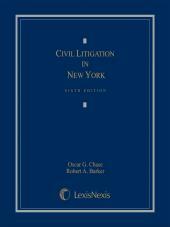 Professor Chase is also the author of Civil Litigation in New York (5th Edition 2007) (with Robert Barker).